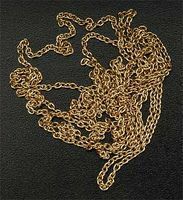 This is a 1mm diameter Chain from Latina. This is a package of two Anchors from Constructo. This is the 1/50 scale Scottish Maid Model Kit from Artesania Latina. Two anchor (medium) difficulty rating. Constructo has designed the Double (wooden) Block to be used in the construction of their model ships. 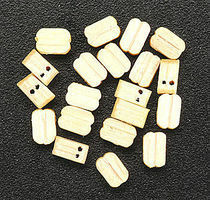 These Blocks may also be used for various craft projects. 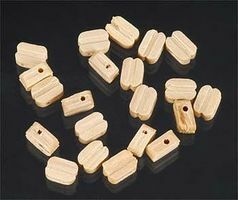 This is a package of eighteen 3mm Double Blocks from Latina. 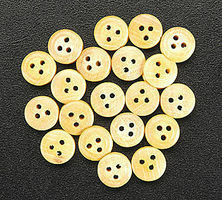 This is a package of Fifteen 7mm Single Blocks from Latina. 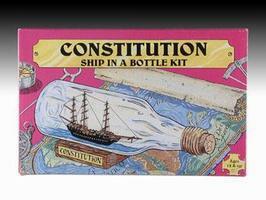 This is the Latina 1/64th Scale Mayflower Model Boat Kit. 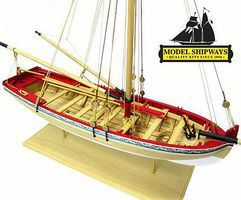 Have fun constructing your own Wooden Baltimore Clipper with this Constructo Junior Model Kit by Toyland. Suitable for ages 6 and older. This is the Artesania Latina 1:50 scale Cross Section Model Kit of the San Francisco Spanish Galleon. **This is a cross section model depicting a small section of** **all deck levels, hull detail and one mast with rigging. ** **This is not a complete ship model.**. This is the Latina 1/50th Scale Marie Jeanne Model Kit. 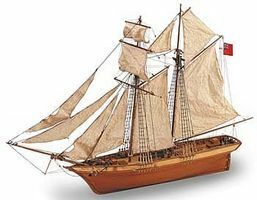 This is the Latina 1/75 scale Bluenose II Wooden Model Kit. For Advanced Modelers. The Bluenose II, built in 1964, was a replica of the original Bluenose that was launched in Nova Scotia in 1921. It became the fastest yacht winning every race it entered on the US's Eastern Seaboard.